After initially unveiling the Core back at CES 2016, Razer then went quiet on how much its external graphics card enclosure was to cost, as well as when it was going to launch. We really liked the look of the Razer Core when we checked it out back in January, so were eager to hear any new details. Those details have just dropped at GDC 2016 and, to not put a too finer point on it, the news is quite deflating. That's because the Core will set you back a wallet-gouging $499. To put that into perspective, a GIGABYTE GeForce GTX 980 4GB OC Edition GPU currently costs $509.99 on newegg.com. The fact that the Core costs as much as a current, upper tier GPU, means that you'll have to drop near $1000 to get it up and running with the cutting edge graphics performance it has been designed to deliver. 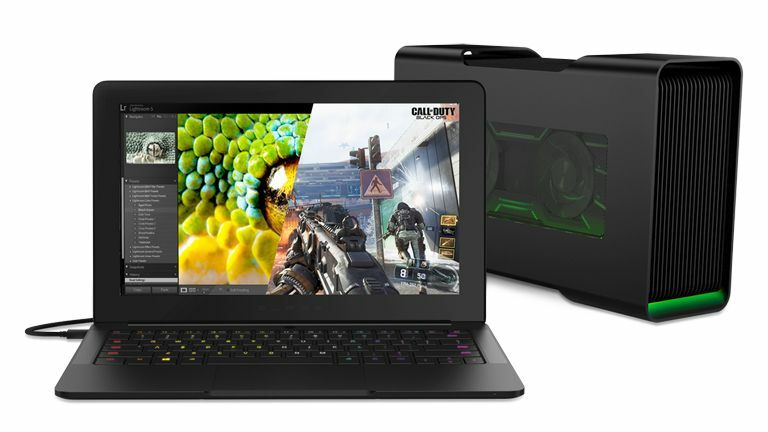 And, of course, that does not factor in the cost of the system you are attaching it to, which in an ideal scenario is the Razer Blade Stealth. That's another $1000 plus onto the cost. So all in it's looking like you'll need to drop in the region of $2000 to use the Core as Razer intended. Savings of course could be made, like sticking in a cheaper GPU, but at best that would shave off a couple of hundred dollars. No UK pricing or availability has been announced either.